Terracotta makes one of the best colors for accessorizing during the fall season, one that looks fresh but also reflects the season quite well, especially so when you still have the leaves on the trees. I haven't given this knit tie a day of use for some time, so I felt it deserved a day out before the winter arrives. 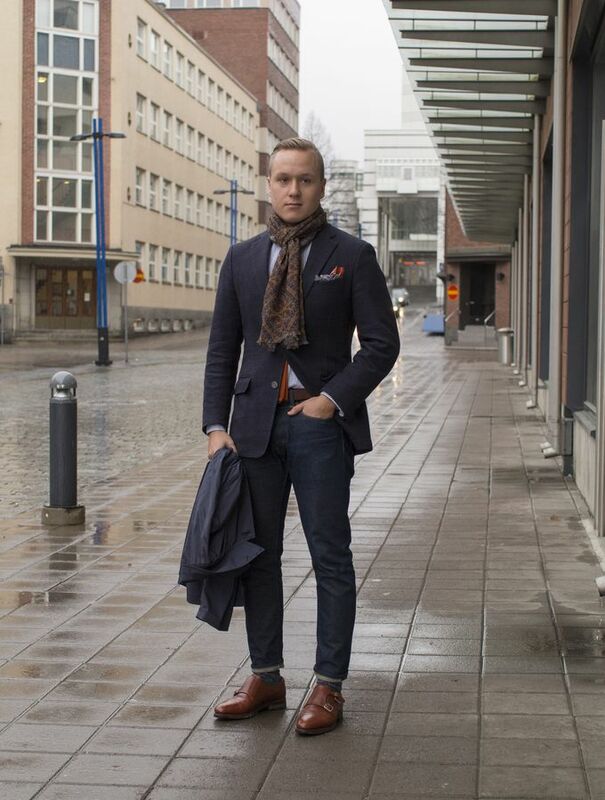 The jacket is in Copenhagen fit and from SuitSupply, terracotta knit tie from an unknown manufacturer, the shirt and the printed scarf are also from SuitSupply, bridle leather belt from Equus Leather, jeans from Indigofera, Fair Isle socks from Falke and grain double monks from Meermin. 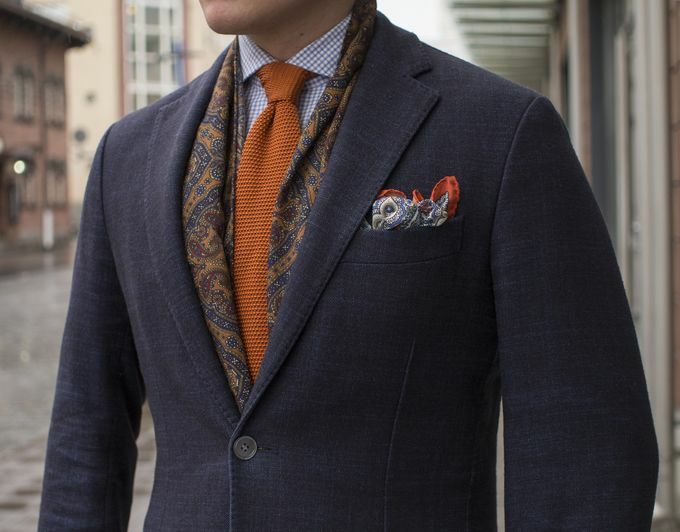 The printed scarf from SuitSupply offers pretty good value for just 39 Euros, but due to having the print only on one side requires some tactical positioning when you put it on. The other side is pretty much plain grey. 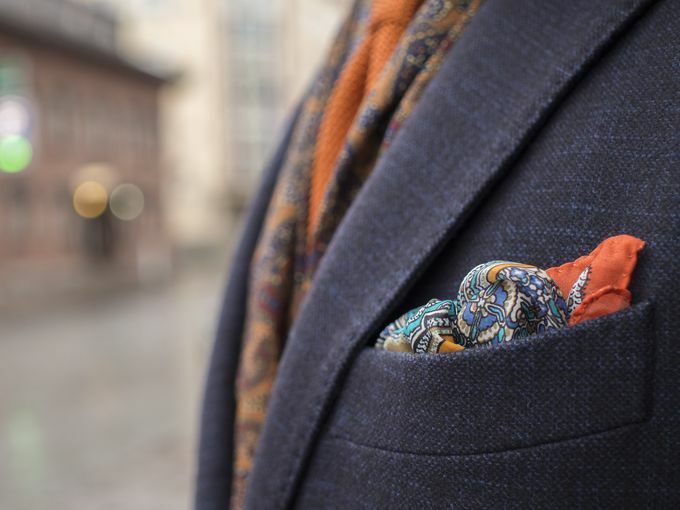 The lovely silk habotai pocket square from Drake's London. One of the most lightweight pocket squares I've ever had in my hands.